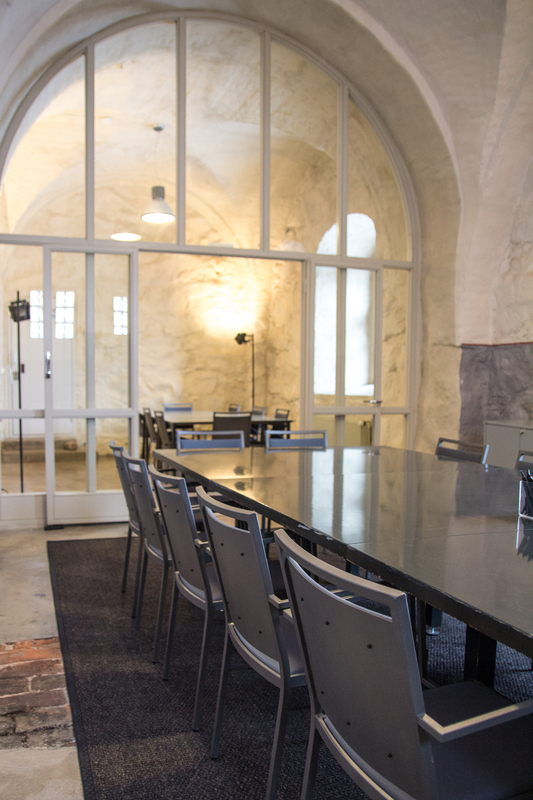 The Tynnyrintekijä meeting room is a peaceful facility for hosting small meetings. It is located in the stone foundation of Pirunkirkko. Lease period from 8 a.m. to 8 p.m. 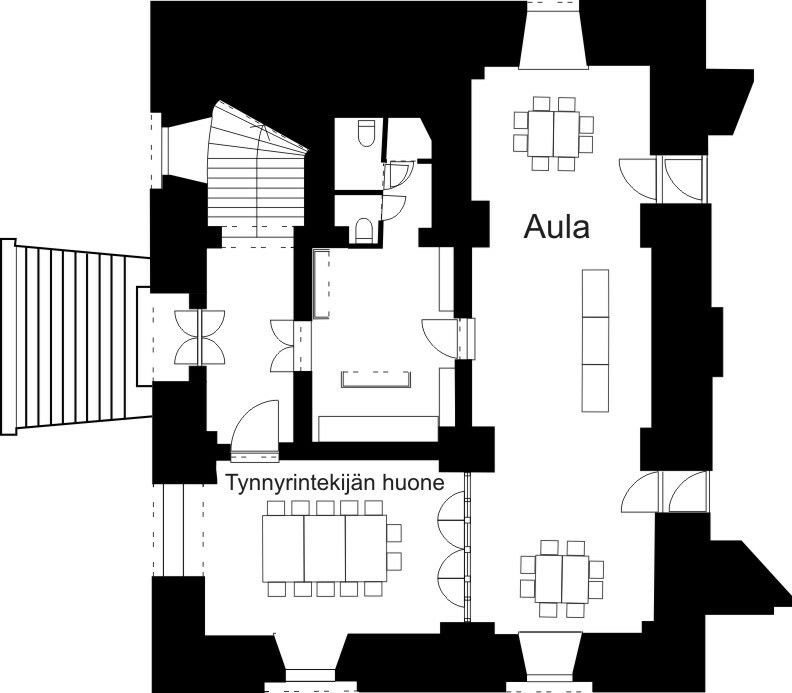 The Tynnyrintekijä meeting room is part of the Pajasali (max 52) hall, but if Pajasali is vacant, the facility can also be rented separately. The meeting room seats 12 people. The Pajasali lobby can be used for group work and for serving lunch, dinner or coffee for the conference day. The kitchen is equipped with a refrigerator, freezer, microwave oven, a coffee maker and coffee set, an electric water heater and a dishwasher. Coffee for your meeting can easily be made on the spot, and there’s many restaurants nearby which are ideal places for lunch. The Tynnyrintekijä meeting room is located in the cellar of the west wing of the Crownwork Ehrensvärd. The building was constructed in 1786. Over the years, it has served as a smithy, bakery, barrel and window workshop, and a warehouse, to mention just a few of its functions. Renovation of the building was started in 1992 from the ground floor. The Pajasali hall and the Tynnyrintekijä meeting room at the southern end of the cellar, in the old Suomenlinna yacht club dinghy storage facility, were renovated in 2002.